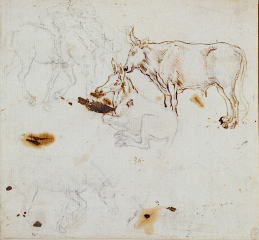 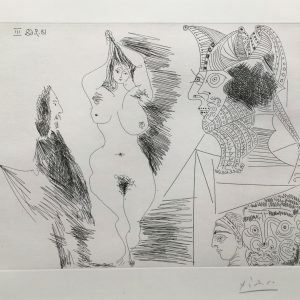 It was not unusual for a 20th century master artist such as Picasso, Miro, Chagall or Matisse to have taken a page from a beautiful coffee-table book published about their work or a wonderful original lithograph, sign the page and then give them as gifts to visiting students, museum VIP’s, or friends dropping in at the studio for a visit. 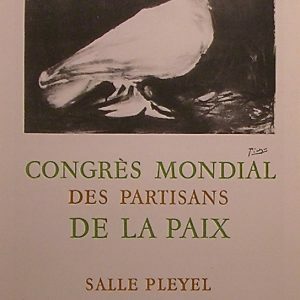 A rare selection of these pages made their way to the book stalls of Montmarte, Paris by the mid 70s. 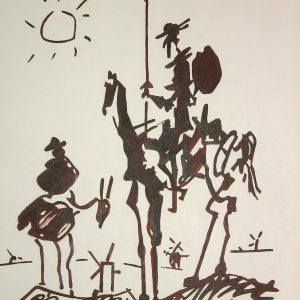 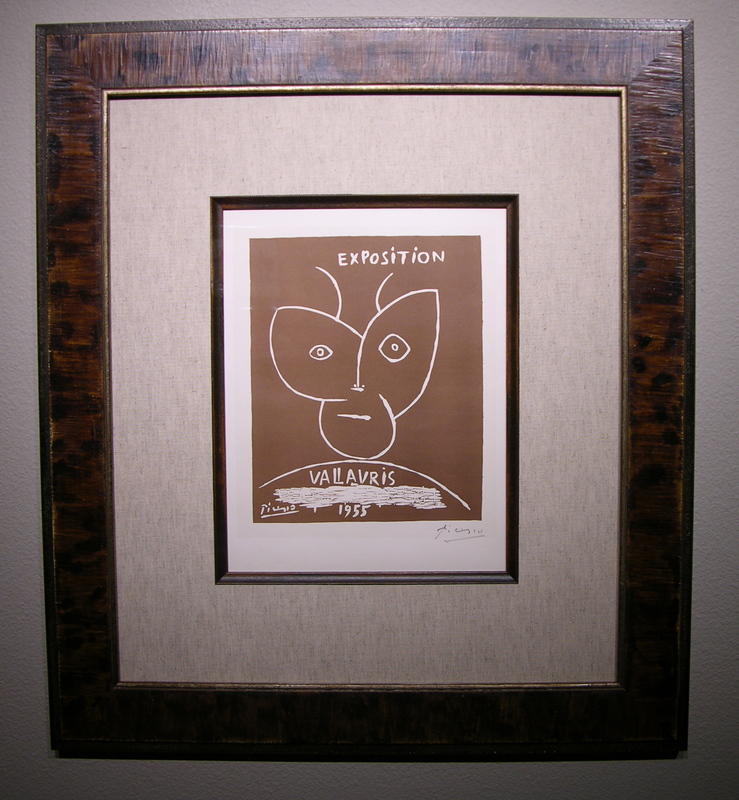 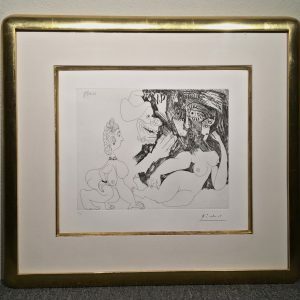 This original Linoleum cut print, hand signed by Pablo Picasso, was to commemorate the opening of a 1955 exhibition in the town of Vallauris located along the Cote d’Azur in Southern France where Picasso lived from 1948 until 1955, during which time he created a great many sculptures and learned the techniques of pottery and ceramics.